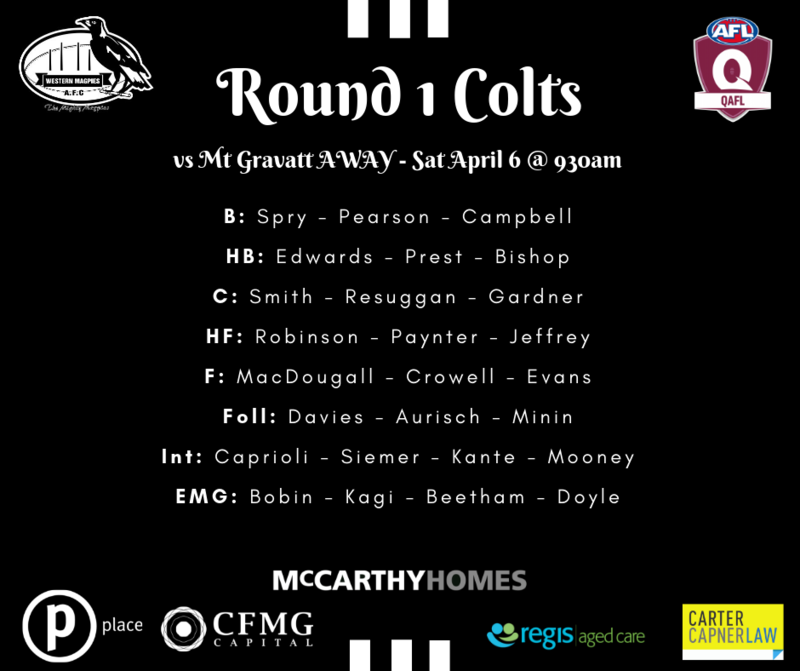 The Western Magpies will go into Round 1 as somewhat of an unknown quantity in Round 1 when they take on Mt Gravatt. The Magpies were Premiers in 2018, while the Vultures took home the spoon, but a year is a long time in Colts footy with the Magpies having 7 Colts eligible players playing in the Reserves today in addition to 4 players unavailable due to Lions Academy duties. The side features several returning players from the 2018 Premiership team as well as members of the 2018 squad, whilst also being bolstered by upcoming players from the Magpies Div 1 u16 side from 2018 where Mt Gravatt were a strong outfit, playing finals. Noah Resuggan is in his 3rd year of Colts footy and is joined by Premiership teammates Whitlam Bishop, Jacob Aurisch and BOG in Grand Final Sammy Minin, while Riti Kagi who also played in the Premiership is a surprising omission and listed as an emergency. Lachie Davies, Darcy Prest and Lawson Campbell bring plenty of ability to the Colts side, while academy product Jonty McDougall looks set to return after a long injury layoff.